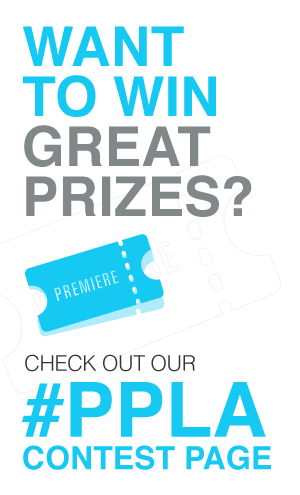 Press Pass LA was thrilled to attend last night’s Streamy Awards which took place at the historic Hollywood Palladium and featured the biggest names from Youtube, Vine, Snapchat and even Facebook! The show was hosted by digital stars Grace Helbig and Taylor Oakley and aired on TV for the first time on VH1. Helbig and Oakley could not have been the more perfect hosts! They were on point from their opening monologue to their bits between segments, even poking fun at themselves saying they felt like ‘real professionals’ with Oakley admitting to practicing at home and Helbig feeling sorry (not sorry) for him. Lets just say the Oscars could take a note or two from their style! The evening included celebrity presenters from TV, film, and music including Pauley Perette, Paula Abdul, Nene Leakes, Ciara and more. The top awards went to Cameron Dallas for Entertainer of the Year, fouseyTUBE (a.k.a Yousef Erakat) for Show of the Year, Matthew Santoro for Breakout Creator, iJustine for Lifestyle star, and The Gigi Gorgeous for Beauty. Actor James Van Der Beek even took home an award for his role in Adi Shankar’s “Bootleg Universe” and joked about finally being able to make the jump from film and TV to streaming video. Other highlights included an on-stage pregnancy announcement by Pregnancy Whats Up Moms in their acceptance speech (now that’s an awards show first!) and a performance by Sir Mix-A-Lot of “Baby Got Back” to close out the show as confetti poured over the audience. 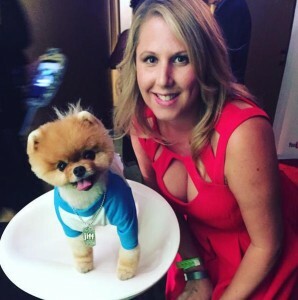 But for us, we couldn’t have been more excited to hang out with Insta-Icon, the adorable Jiff Pom backstage.